Vacationing as a couple is something that is as special as it is unique. Everything has to be as close to perfect as possible—for the sake of both the experience and the memories. So where is the best place to vacation as a couple? Despite the undeniable truth of the saying, “To each his own,” one of the most undeniably perfect spots to vacation as a couple is The Caves in Negril, Jamaica, which is closely followed by the Emaho Sekawa Resort in Fiji, and Jade Mountain Resort in St. Lucia. The Caves is perched on the edge of gentle limestone cliffs that descend into the crisp light blue Caribbean Sea. It’s a relatively short drive, just 80 minutes away from the Montego Bay airport. The property is immersed in lush greenery that simultaneously reflects the raw feel of the Jamaican jungle and the thoughtfulness of well-manicured landscaping. Guests have the option of 12 accommodations situated right next to the cliff, affording views that stretch for miles and miles of light to heavy blue sea. 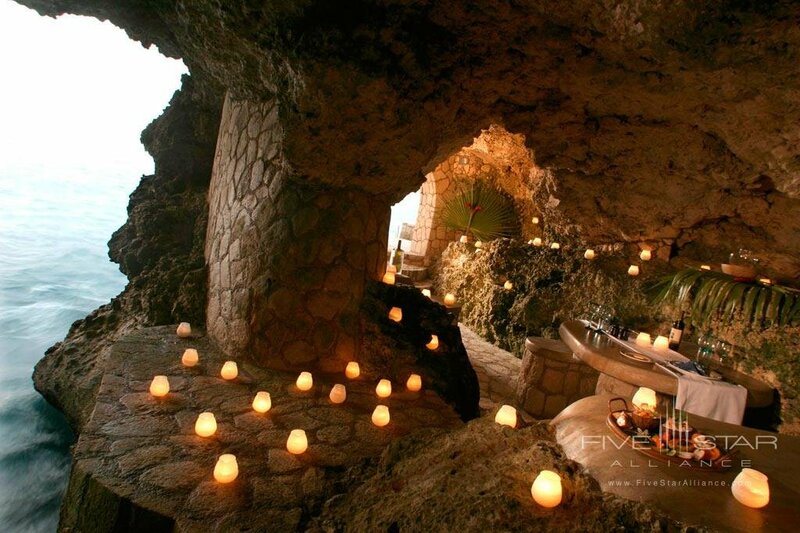 The Caves has a mix of private and shared dining. Guests can sit in their own candlelit nook, sit at the edge of the cliff and gaze out over the water, or nestle in with other guests under a tasteful thatched palapa. An escape to the spa for a brown sugar body scrub or a massage while looking out at the ocean provides the perfect end of a day at the beach or exploring the sights and flavors of Negril. The Emaho Sekawa redefines the concept of getting away. Tucked in the reaches of Fiji, Emaho Sekawa brings its guests to a world simultaneously outside of our own and the best of what this planet has to offer. 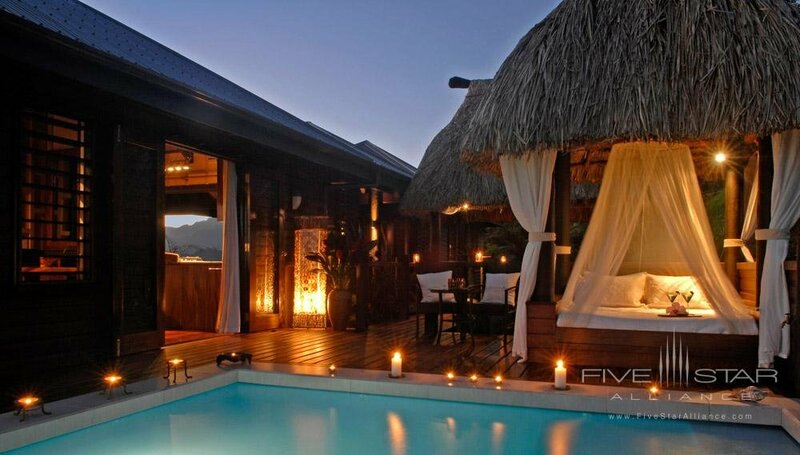 Endless stretches of ocean views are only interrupted by the Fijian mountains on the horizon. The rooms are cozy and integrated with the outside, complete with the rustic-chic finishes of natural local woods and contemporary South Pacific architecture. Enjoy a candle-lit dinner surrounded by mountains on one side and the ocean on the other, or eat inside at their first class restaurant. 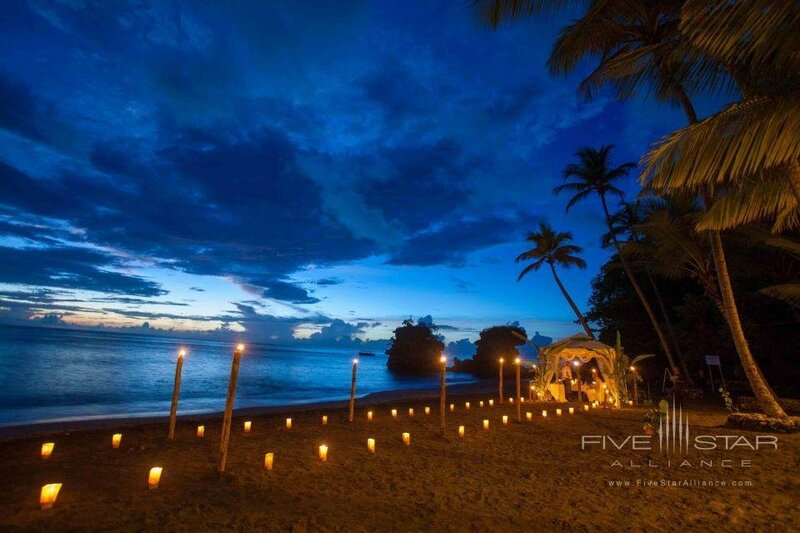 Couples are treated to a local serenade or equally romantic quiet dinners or spa treatments for two. With the Caribbean Sea and the mountains of St. Lucia in the background, couples can truly dive into the St. Lucia experience with Jade Mountain Resort. True to its name, the lush green mountains jut out of the landscape like the fingers of hands gently holding guests in a home away from home. However, the comforts of home are eclipsed by views that are simply unreal, melding guests with a virtual deck of postcard shots. Sit in an infinity pool surrounded by natural rock and look out into the sea. Or couples can relax with a massage complemented by the warm Caribbean breeze. Jade Mountain’s property includes their own organic farm that supplies the ingredients for their two top-end restaurants, guests’ private dining, and even a chocolate lab where guests can sample the fruits of chocolate experimentation—all in the name of science, of course. A couple’s vacation is a special time that shouldn’t be interrupted by anything. These destinations take couples out of the day-to-day grind and into a vacation that turns regular life into a faint memory.